When it comes to cleaning anything, you want to do it in the most efficient way possible so you can just get it done. However, when it comes to your oven, the most efficient way isn’t the best way. In fact, it puts your oven more at risk for future breakdowns. While, yes, many of these parts such as the wiring and control board are insulated against heat, the self-clean of most oven’s uses a temperature that is so hot and radiates such high heat that the insulation can’t stand up and will break down. While using the self-clean function once might not mean any of these parts will break down, but the more you use it, the higher risk you run. Unfortunately, if one part has broken down after self-clean use, it is very likely that a repair technician will find more wear throughout the oven, making a repair potentially very expensive. So if the self-clean function is risky, what is the best way to clean your oven? Unfortunately, this is one of those jobs that is best done with a little bit of elbow grease. This means scrubbing your oven with an oven cleaner or more natural options like baking soda and vinegar. Or consider an oven that uses a steam clean option that requires a lower temperature to run. However, with cleaning your oven by hand, you need to make sure that you are cleaning every part that needs it. 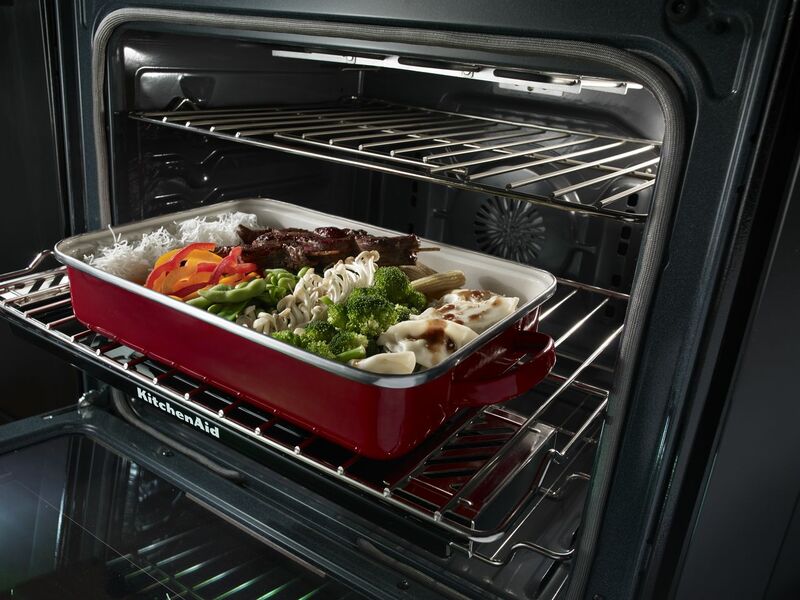 Your specific brand of oven may have parts that need to be unscrewed in order to effectively clean the whole oven.